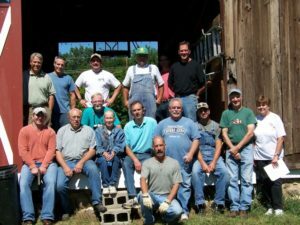 The MBPN may provide up to $250 mini-grants to individuals or groups who organize educational workshops related to barn rehabilitation and preservation. Board members can be of assistance in determining feasibility, identifying a workshop leader, and helping in planning. To request an application, contact board member Steve Stier. The MBPN board meets quarterly in January, April, July, and October. Applications will only be reviewed at these meetings. Applications must be made a minimum o 1 month prior to the proposed activity. Pre-Event: All promotional material must state that MBPN is a co-sponsor of the workshop. It is highly recommended that workshop information be submitted for publication in the MBPN newsletter and for posting on the MBPN website. Post-Event: A report of the workshop must be sent to MBPN and include: number of attendees, evaluations, work accomplished and any publicity. Photos of the workshop will become property of MBPN for use with our newsletter and social media activities. Receipts: Copies of the receipts showing expenditures of $250 must be included in the report. Eligible expenses include: promotional materials, honoraria and travel expenses for instructors, construction materials, etc. Cancellation Policy: If the workshop is cancelled, the grant must be refunded. Liability: MBPN has liability insurance to cover MBPN members attending educational workshops. But remember, safety of participants is the first consideration in a hands-on workshop. Fees are charged to cover workshop expenses. Fees for non-MBPN members will include the cost of membership to secure insurance coverage. 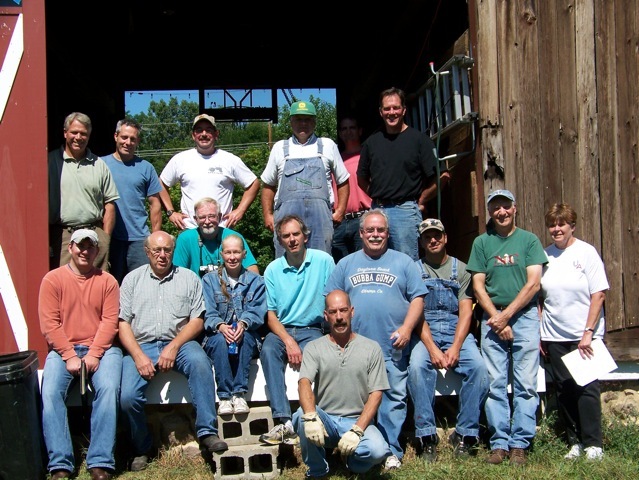 Workshops can take place all over Michigan. These included repairing siding, learning about stone foundation repair and pointing, replacing a sill, and learning how to cut a mortise.